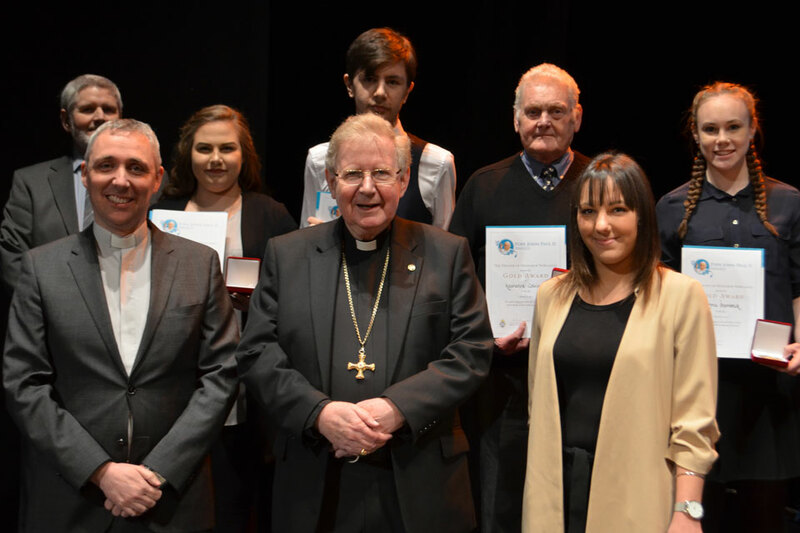 On Thursday 2, March 2017 the diocese of Hexham and Newcastle held their 1st Pope John Paul II Award ceremony in the Tyne Theatre and Opera House, Newcastle, England. Almost 500 people gathered to witness the Award ceremony. Bishop Seamus Cunningham, Bishop of Hexham and Newcastle and Fr. 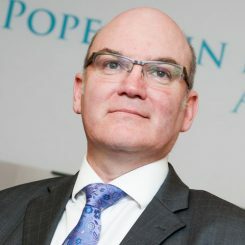 Paul Farren, founder of the Award from the Diocese of Derry, presented Papal Cross, Gold, Silver and Bronze awards to 120 young people who had worked hard over the previous 15 months to earn their place at the presentation ceremony. Bishop Seamus presented each of the medals as the award recipients went on stage, deanery by deanery, and Fr. Paul gave out the certificates. This was a memorable occasion for everyone. Bishop Seamus expressed his pride in the young people of the Diocese and his thanks to their families and to all those who work with them. Hexham and Newcastle was delighted to welcome the team from the Diocese of Derry who began the Award in Ireland 10 years ago: Fr. Paul Farren, Director of Derry Diocesan Catechetical Centre; Anne Marie Hickey, Award Administrator; Tony Brennan, National Coordinator; and Marie Lindsay, Award Committee Member. In his address Fr. Paul affirmed the young people for their witness and challenged them to encounter and serve those in need as the living Body of Christ. The occasion was also graced with the presence of Youth for Christ from the Filipino community whose musicians and singers led everyone in worship. Each participant also completes a ‘presentation’ which reflects on their experience and relates what they have done to Gospel values and being a baptised member of the church. Many of the stories highlight friendly and welcoming parish communities who are delighted to greet young people and help them be more involved in the work of their church. For the Award to work effectively, strong links are required between parishes and the secondary schools. This practical cooperation and communication has been an additional benefit enjoyed in many deaneries. If you would like to get involved in the Award, please contact the Award coordinator in Hexham and Newcastle, Tony Joy, on 01207 59224 or email jp2award@ymt.org.